Australia has been a one stop shop migration destination for people who wish to migrate, work and live in the country for the lifetime. The government of Australia has put forth several Permanent Residency Visa Streams for the Foreign Nationals, allowing them to migrate and gain PR status there. Skill independent visa: The skilled independent visa offers the skilled professionals a chance to migrate and work in Australia in regard to their suitable qualification and skills that matches the Australian job market. 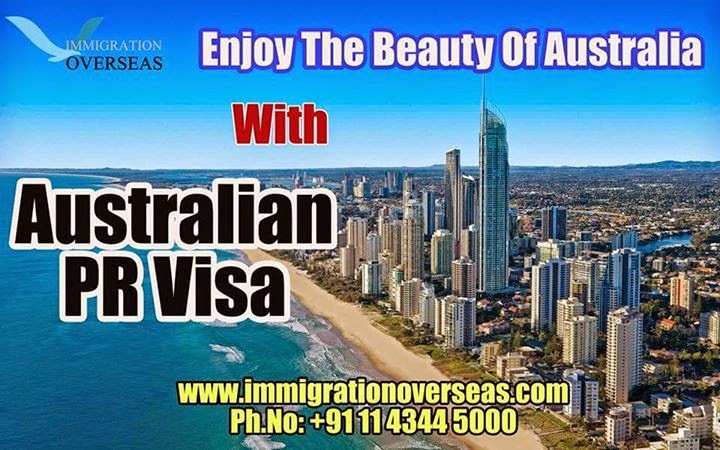 It is visa subclass 189 of Australia that is offered to professionals who does not need any sponsorship to migrate towards Australia. Skilled sponsored visa: It is the visa subclass 190 that is offered to the skilled professionals to work in Australia by the employers in the country. The applicants need to fulfill the visa requirements and show their interest and experienced in one of the skilled occupations that are defined under the SOL. Employer nomination scheme: This is another permanent residency visa category in Australia that allows the temporary workers in Australia to gain permanent residency. Under this stream there are two ways under which the candidate can be granted a visa. These include, nominated by the employer and through a visa application. Parent Visa: The parent visa allows the parent of an Australian Permanent Resident to Migrate and settle in the country with them. Immigration Overseas in this regard is offering the foreign nationals Australia immigration services, helping them secure right place in the country and their happily ever after. The firm offers online services to the applicants, helping them easily get the visa for Australia and extending to them effective pre and post landing assistance.